In a run-up to 100 days to the Common Admission Test i.e. 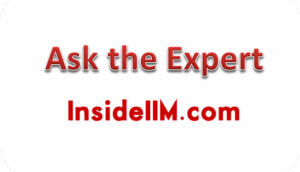 CAT 2013, we introduce a new series called Ask the Expert. Ask us anything you want to about the CAT or other management entrance tests. We will pick 4-5 interesting questions each week which will be answered by Ravi Handa or an expert in this field. You can leave your questions for the expert here below. The questions will be answered next week. Ravi Handa’s thread on InsideIIM can be found here. 1) Should I quit my job and focus only on CAT from now until D-Day? 2) I have a mind block against Quant and have never done well in any mock so far despite going through all concepts and solving questions. What can I do to turn around my fortunes? 3) What is a decent number of attempts in Quant section in the CAT? 4) Should I prepare separately for IIFT, XAT and other paper pencil tests? If yes, how? Watch the 5 Min video and hear from Ravi Handa. You can read articles by Ravi Handa here . Ravi Handa’s thread on InsideIIM can be found here so that you can interact directly with him. All his courses are listed here. Introducing IE Business School, Madrid – Join Hangout on 12th July!